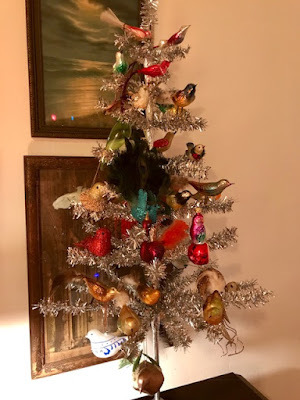 The Tinsel Tree - . It's as if a great many were lost from my childhood, and made their way to you. Lovely tree, happy birds. Great idea. Your little tree is sweet!